The economy has ousted accountability as the top issue for Albertans this election, according to a survey of more than 30,000 people across the province. In the online questionnaire known as Vote Compass, Albertans were asked to answer the question "What issue is most important to you in this election?" During the last provincial election, Vote Compass respondents had selected from a predetermined list of topics. There were 32,504 respondents to Vote Compass between March 20 and March 22. Overall, people surveyed named the economy and the environment as the top two most important political issues to them. But what people found most important varied across the province. "The economy is really, really important in Calgary. Less so in Edmonton, whereas the environment is the reverse," said Charles Breton, research director of Vox Pop Labs, the data science firm that runs Vote Compass in partnership with CBC and Radio-Canada. In the 2015 Alberta provincial election, respondents named accountability as the top issue that mattered to them. This year, the survey asked an open-ended question. That means it doesn't reflect opinions, only what respondents think is important. For example, the results don't show whether the majority of Vote Compass respondents are for or against carbon tax, which was included in the environment section, just that many think it's an important issue. Joining the economy and environment as the top five issues overall to Albertans who took part in the survey were education, health care, jobs/wages and taxes. Health care is often at the forefront of voters' minds, Breton said. But when ranking survey results based on voting intention, the issue appeared to resonate most with people who intend to vote NDP — they were more likely to name it as an important issue than other survey respondents. The NDP recently introduced Bill 1, the Protection of Public Health Care Act, which would prevent further privatization of Alberta's health care system. Vote Compass respondents named taxes as the fifth most important issue to them overall. "Having taxes as an issue in the top 10, for instance it's not something that we'd necessarily see in other provinces," Breton said. People who named taxes as an issue that's important to them cited taxation and income tax levels in their answers. That answer was also most popular among people who intended to vote for the United Conservative Party (UCP). 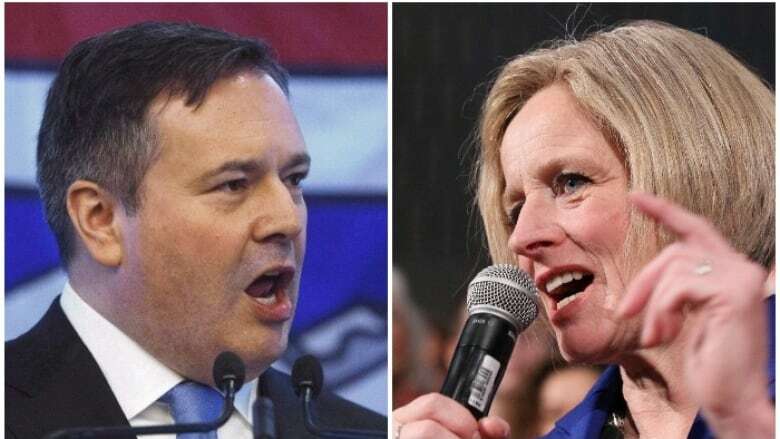 Earlier this month UCP Leader Jason Kenney said if elected his government would reduce the corporate tax rate to the lowest in Canada within four years of taking office. The issues which were of lower concern to survey respondents overall, were crime, including police, violence and gun control, youth issues and rights, abortion rights and clinics, and infrastructure. The findings included in this article are based on 32,504 respondents to Vote Compass between March 20 and March 22, 2019. Their answers were put into categories using an algorithm, which works to combine similar words under general headings. Vote Compass was developed by a team of social and statistical scientists from Vox Pop Labs. Unlike online opinion polls, respondents to Vote Compass are not pre-selected. Similar to opinion polls, however, the data are a non-random sample from the population and have been weighted in order to approximate a representative sample. Data has been weighted by gender, age, education and country of birth to ensure the sample's composition reflects that of the actual population of Alberta according to census data and other population estimates.